Getting there. And being there. We need only drop the effort to secure and solidify ourselves, and the awakened state is possible. I’ve seen innumerable references in both Buddhist and more generic spiritual literature to characteristics of the awakened state in rich, illuminating, voluminous and poetic detail. In dharma practice, one awakens to the nature of mind, an innate condition obscured by confusion and amnesia. Getting there is, of course, another matter. All of the spiritual paths that I am aware of are gradual. How could they be otherwise? The finely tuned learning and training in the conceptual components of our attention, the development of stillness, calm abiding, heart-opening practices, purifications of all kinds happens slowly over time. There is also the array of practices discriminating the qualities of mental activity and the developmental stages we pass through toward what becomes an increasingly complex, remote and unattainable objective. 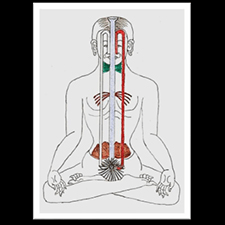 We could say it is all about embodiment except that it also requires that we accept the illusory and transient nature of the body. In that sense, it is also a process of letting go of the body, releasing oneself from fixation on the familiar appearances and identity that we carry around with us expressed primarily in the form of this body. And yet, as we become clearer about the choices we have about using our energy and attention, and how our past choices have become anchored in our subtle bodies, the body itself becomes a vehicle of awakening. The unavoidable truth is that regardless of how gradually—including the numberless lifetimes spanning our existence—we may pursue the imagined objective and eventually, with sufficient effort, arrive at the ultimate state, it is never any further away than this moment. And the more awareness I gain and attention I put on the present, the less I care about enlightenment at all. Chogyam Trungpa speaks of dropping the effort to secure and solidify our selves. He uses the word “only” as if it couldn’t be simpler if we would just do it. But as we know, we’re too complicated for it to be that simple. We don’t have a true perspective on just how tightly we cling to the security and solidity of self. That’s the whole issue, isn’t it? That we are deluded? We can spend years, even decades exploring the nature of mind and the nature of ego, the mechanisms of clinging, the meaning and depth of self-cherishing, our attachment to self-serving beliefs. We can look into damaging habits of self-sabotage that prevent us from seeing (and freeing) ourselves, the truth of how deeply embedded our mental tricks really are. There doesn’t seem to be an end to the ways we cloud our own vision which keep us from realizing the truth of who we are. Underneath every discovery is another; and another beneath that. Over a lifetime, we may have moments of brilliant insight transcending time or body that offer brief windows into our true nature, or at least the true nature of our predicament. The subtlety of self-clinging and our pursuit of security in our identities is ongoing, granular and pervasive. We may imagine that we are on a path of overcoming the myth of separation. We may immerse ourselves in investigating the nuances of the embedded (including hard-wired) mental games that perpetually entrap us in dualistic thinking. But we’re all still here, aren’t we? We may explore the mental turns we use to dissociate from the moment. All of this is worthwhile. 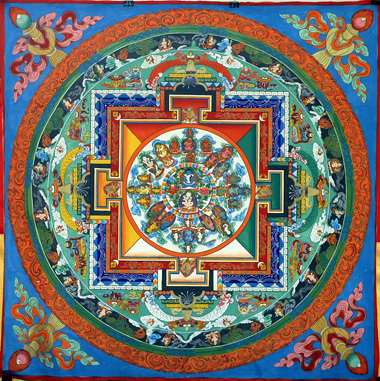 It is the accumulation of merit for all beings. But I am certain about one thing. Whether any of this shall eventually lead to even a moment’s realization of authentic awakened mind, the direct non-dual experience, is something we cannot anticipate, depend on or assume will ever occur. Such would simply become another form of clinging. Then again, because we are each in a unique dimension of the collective journey, we might question from time to time whether any teacher’s words apply to us. Continually evaluating any guidance we receive may offer us satisfaction, temporary relief and even a sense of progress. But too much skepticism becomes another impediment, a reinforcement of our typical mental habits and pitfalls, reinforcing our unique, comfortable and separate identity. Questioning may be valuable at times, but not at the expense of realizing a path that is right for us. What would our lives look like if we were no longer conditioned to any state of mind? What would move or motivate us? Isn’t the definition of spontaneity “life erupting forth free from any conditioned influence”? Maybe then, an awakened heart would look spontaneous. From a karmic view, we are not eternally associated with a particular identity (or soul); we are on a timeless journey as a stream of consciousness. Consider the possibility that we already know the truth; that we fully know the depth and complexity of how our identities are entangled with our bodies and our spiritual journey. Assume for a moment that there was an instant of choice, a completely conscious non-conceptual experience of the critical choice—even before the biological conception of this body and this identity, before we became who we are in this world– that we were about to embark on a journey in this form and with this identity. Suppose it was the case that in the precise moment of that choice we were aware of the timeless nature of all past, present and future “events” and knew that we were about to choose all of the joys, accomplishment, moral dilemmas, confusion and suffering that was to become ours –in that instant: the flawed life of encountering what we now regard as the moral arc of our lives. Suppose also that we knew in that moment that our choice inevitably included forgetting; that in accepting this form and the identity that comes with it, we were also choosing to forget what we knew before that choice was made. We chose to forget in order to be given this precious and unique opportunity of a human life to address those moral issues, the ones that bring us here. The path to awakening is to remember. And now, in our earnest efforts to remember, by every learned practice, we encounter the consequences of that forgetting. Is this all so far-fetched as to be entirely inconceivable? Maybe so. But if not, then in following Trungpa, we would have to remember all we know… as well as all we have forgotten. And in doing so, we would never have to think again of enlightenment as beyond our grasp. This entry was posted in Buddhism, Personal and tagged chogyam trungpa, enlightenment, forgetting, gradual path, karma, non-dual experience, remembering, rodney Smith, striving, subtle body by garyhorvitz. Bookmark the permalink.